Ten of our 12 month Online Student Seat Licenses: Includes access to Online Diagnostic Prescriptive, access to all levels and lessons in the methodology, online testing, instructional recorded training videos, online reporting, the Electronic Library of pdf files for all our print materials, all technical support, data archiving/hosting and access to the Reading Attitude Survey. Unit Price is $150 per student. One of our Secondary Teacher Packs - Limited Print (1 Teacher Manual, 2 Instructional Readers, 1 Parent Communication Pack, 1 Criterion Reference Test, 1 Student Workbook, 1 copy of each Illustrated Reader/story, all per level) *Orange, Teal and Verbal Master 1-4 Levels; Serves Reading Levels of 2nd through 12th Grades. * Retail price is $1,250 but the Teacher Pack is FREE in this offer! Verbal Master is a supplemental language arts curriculum that integrates word recognition activities, explicit/multi-sensory comprehension instruction, and writing. Now even the most severely delayed readers can rapidly improve vocabulary, fluency, critical thinking, productive time on task, background knowledge, and confidence! 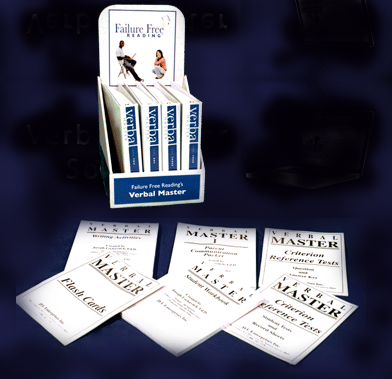 Verbal Master is age- appropriate and self-paced. Suitable for struggling- gifted readers with no reading level prerequisite! Verbal Master Level l is the fifth of Failure Free Reading’s eight instructional levels ranging from beginning first grade to SAT/ACT content. Verbal Master Level I is for students with a 6th-7th grade reading level. Verbal Master Level I is suitable for: all ages, beginning English Language Learners, RtI Tiers II & III intervention, at-risk, and special education populations: autism, learning disabilities, intellectually disabled, deaf/HH and dyslexics. Verbal Master I Cluster Story 1 - “Discussing Suspension.” This story is about an interview that is taking place between an assistant principal at a high school and a correspondent for a local TV news program. The correspondent asks the assistant principal why some kids get suspended from school and others do not. Extremely age- appropriate, this story will introduce your child/student to key phrases such as: ‘a state of confusion,’ ‘abandon good behavior’ and the phrase ‘cultivate such an argument.’ Among the words introduced: abandoned, adjustment, argument, assumes, assure attractive banquet, blunder, burden, coarse, combination and contribute. Verbal Master I Cluster Story 2 - “The Storm Chasers” This story is about a TV program dealing with storm chasers. In this story, your child/student will learn that the TV program has to do with a group of people who went on a storm chasing expedition. The narrator says that the program is very exciting. The narrator also admits that the TV program made him afraid as it showed a tornado funnel forming and touching down to the ground. The funnel caused a lot of damage and it demolished anything in its path. Extremely age- appropriate, this story will introduce your child/student to key phrases such as: ‘it was beyond description’ _and the phrase ‘descended out of a drenched sky.’ Among the words introduced: expand, expedition, exhausted, element, enable, formation, funnel, fiction, flee, granite, gorge and gratitude. Verbal Master I Cluster Story 3 - “Saving a Life” This story is about a car accident and a mechanic who saved a woman’s life after the accident. The horrific accident took place at a road junction of two major highways. The accident happened because the driver was unable to see well because of hindered his vision and how a mechanic saved the life of a woman who was trapped in her car and bleeding badly. Extremely age- appropriate, this story will introduce your child/student to key phrases such as: ‘his vision was hindered’ and the phrase ‘did not hesitate.’ Among the words introduced: injured, jagged, junction, label, lag latitude, literature, luxury, majority, major, and maintain. Verbal Master I Cluster Story 4 - “Security Dogs Save the Day” This story is about a dangerous parcel that was left in a railway station and found by security dogs who saved the city from danger. Extremely age- appropriate, this story will introduce your child/student to key phrases such as: ‘more than a mere nuisance’ and the phrase ‘felt the necessity.’ Among the words introduced: nuisance, neglect, original, oxygen, painful, permanent, reasonable and respectful. Verbal Master I Cluster Story 5 - “Looking at a Revolution” This story is about a revolution taking place in a tiny republic. In the first part of the story, there is a scene shown on a screen in a squadron room. The scene is a satellite scan of a tiny republic where a revolution had taken place. A scientific team had assumed that there had been a bad revolution, and the satellite scans let them know they were right. Extremely age- appropriate, this story will introduce your child/student to key phrases such as: ‘the results confirmed the situation’ and the phrase ‘not a minor little scuffle.’ Among the words introduced: republic, revolution, satellite, squadron, selection, schedule, sprout and species. Verbal Master I Cluster Story 6 - “The Importance of Electricity” This story is about an electricity outage that caused air conditioners to stop working during the hottest days of the year. The first part of the story explains that the temperature was over one hundred degrees, and the people who were in the buildings were going through torture because they were so hot. Extremely age- appropriate, this story will introduce your child/student to key phrases such as: ‘the torment the heat was causing’ and the phrase ‘there was no time for vanity.’ Among the words introduced: smear, successful, sermon, sincerely, thermostat, torment, varnish, utensils, wealthy and wondrous. Verbal Master Level l is the fifth of Failure Free Reading’s eight instructional levels ranging from beginning first grade to SAT/ACT content. Verbal Master Level I is for students with a 6th-7th grade reading level. 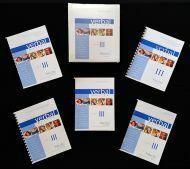 Verbal Master Level I is suitable for: all ages, English Language Learners, at-risk, RtI Tiers II & III interventions and special education populations: autism, learning disabilities, intellectually disabled, deaf/HH and dyslexics. Verbal Master Level II is the sixth of Failure Free Reading’s eight instructional levels ranging from beginning first grade to SAT/ACT content. Verbal Master Level II is for students with a 8th-9th grade reading level. 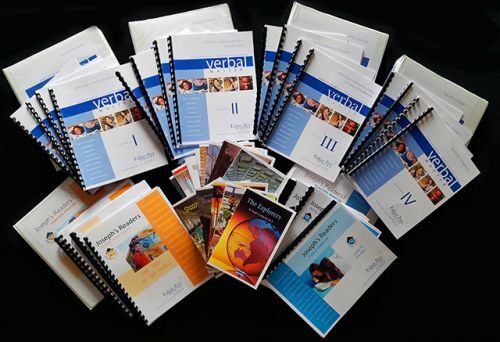 Verbal Master Level II is suitable for: all ages, beginning English Language Learners, at-risk, and special education populations: autism, learning disabilities, intellectually disabled, deaf/HH and dyslexics. Verbal Master II - Cluster Story 1 - “The Brave Cavalry and Their Secret Plan.” This story is about a battle that took place, and how a brave cavalry was able to save the lives of many innocent civilians and how the cavalry was able to stop the criminals’ barbaric behavior. Extremely age- appropriate, this story will introduce your child/student to key phrases such as: ‘a state of confusion,’ ‘this was no customary battle’ and the phrase ‘this conflict was the reason for the armistice.’ Among the words introduced: acquaintance, astounded, barricade, bazaar, collision, calamity, civilian, convinced and classified. Verbal Master II - Cluster Story 2 - “A Defendant’s Deadly Crime” This story is about a defendant and the District Attorney who is trying to prove that the defendant is guilty of a crime. Extremely age- appropriate, this story will introduce your child/student to key phrases such as: ‘a state of confusion,’ ‘diminutive young woman’ and the phrase ‘the drought that devoured all of the plant life.’ Among the words introduced: desolate, dismay, domestic, drunkard, disinherit, dissatisfied, efficient, endanger and endure. Verbal Master II - Cluster Story 3 - “Escaping from Famine” This story is about an Ambassador and his fiancée who helped a population leave a land that been affected by famine for more than two years. Your child/student will learn that the Ambassador could not even imagine how bad the effects of the famine had been on the people who lived on that land. Extremely age- appropriate, this story will introduce your child/student to key phrases such as: ‘could not fathom how ferocious the effects had been’ and the phrase ‘held hostage to a land.’ Among the words introduced: envious, endurance, extraordinary, evacuate, fundamental, flaw, ferocious and homicide. Verbal Master II - Cluster Story 4 - “A Legion for Hope and Change” This story is about a constable, or an officer, who became angry when he saw the results of a collision caused by a drunk who made an illegal turn at a busy intersection. Extremely age- appropriate, this story will introduce your child/student to key phrases such as: ‘could not contain his anger’ and the phrase ‘enough evidence to induce.’ Among the words introduced: ignite, inspiration, inflame, infuriated, lunge, lyrics and locality. Verbal Master II - Cluster Story 5 - “A Monastery’s Extraordinary Mural” This story is about an old monastery with a very impressive mural painted on the ceiling. The story explains how massive the monastery is, and that it was built a long time ago by a small group of people who wanted to build a structure that would last a long time. Extremely age- appropriate, this story will introduce your child/student to key phrases such as: ‘hard to fathom’ and the phrase ‘endure throughout time.’ Among the words introduced: mural, masterpiece, minority, mammal, nomad, offend, option and precipitation. Extremely age- appropriate, this story will introduce your child/student to key phrases such as: ‘did not like the prospect’ and the phrase ‘discovered a vague virus.’ Among the words introduced: pharmacist, prescription, prolonged, prosperity, reassure, recovery, singular, vegetation and vagabond. Verbal Master Level II is the sixth of Failure Free Reading’s eight instructional levels ranging from beginning first grade to SAT/ACT content. Verbal Master Level II is for students with a 8th-9th grade reading level. Verbal Master Level II is suitable for: all ages, English Language Learners, at-risk, and special education populations: autism, learning disabilities, intellectually disabled, deaf/HH and dyslexics. Verbal Master Level IIl is the seventh of Failure Free Reading’s eight instructional levels ranging from beginning first grade to SAT/ACT content. 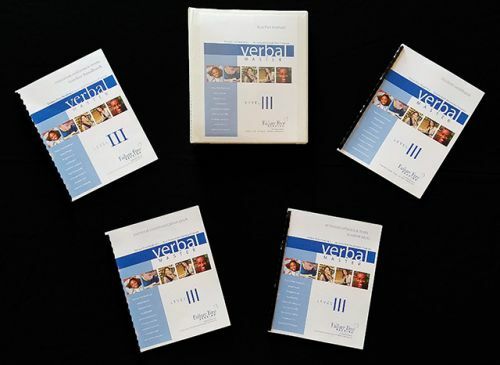 Verbal Master Level II is for students with a 10th-11th grade reading level. Verbal Master Level III is suitable for: all ages, beginning English Language Learners, at-risk, and special education populations: autism, learning disabilities, intellectually disabled, deaf/HH and dyslexics. Verbal Master III - Cluster Story 1 - “An Excuse for War” This story is about a leader of a gang and the leader of a belligerent country who come up with a conspiracy to start a war. The leader of the gang thinks up a conspiracy that almost brings two countries to war. Extremely age- appropriate, this story will introduce your child/student to key phrases such as: ‘console his client’ and the phrase ‘anonymous to the law.’ Among the words introduced: appalling, apparatus, accomplice, boisterous, coincide, contradict and catastrophe. Verbal Master III - Cluster Story 2 - “A Decade of Terror” This story is about a leader of a gang and the leader of a belligerent country who come up with a conspiracy to start a war. The leader of the gang thinks up a conspiracy that almost brings two countries to war. Extremely age- appropriate, this story will introduce your child/student to key phrases such as: ‘distort the truth’ and the phrase ‘console a friend.’ Among the words introduced: convulsion, capillary, dispensary, dilemma, exotic, eloquent and duped. Verbal Master III - Cluster Story 3 - “The Power of an Evil Leader” This story is about a country trying to sop the behavior of an evil leader. The people stood firm that they wanted him overthrown from power. emerge, facility, formulate, gallows, glazed, homage and hypocrite. Verbal Master III - Cluster Story 4 - “Denounced Dreams and Illustrious Projects” This story is about an article describing the events that led up to the building of the Panama Canal, the magnitude of building the Panama Canal and the large amount of negativity toward the man who pursued such a thing. Extremely age- appropriate, this story will introduce your child/student to key phrases such as: ‘pulverize the project’ and the phrase ‘propulsion of the project.’ Among the words introduced: incandescent, impertinent illustrious, infirmary, magnitude, ordinance, predominant and propulsion. Verbal Master III - Cluster Story 5 - “Anger Destroyed Him” This story is about a teenage boy and his journey that left him crying in a jail cell. The boy had made a bad decision. plight, rogue, revert, repealed, recuperate, secrete and sieve. Verbal Master III - Cluster Story 6 - “The Sinister Silhouette” This story is about a horror film that won best picture. The story begins by telling the opening scenes of the horror movie about a murder in a sorority house. Extremely age- appropriate, this story will introduce your child/student to key phrases such as: ‘showing great turmoil’ and the phrase ‘stupefied look.’ Among the words silhouette, secluded, superficial, synthetic, segregate, tributary, tabulate and vain. Verbal Master Level III is the seventh of Failure Free Reading’s eight instructional levels ranging from beginning first grade to SAT/ACT content. Verbal Master Level II is for students with a 10th-11th grade reading level. Verbal Master Level III is suitable for: all ages, English Language Learners, at-risk, RtI Tiers II & III and special education populations: autism, learning disabilities, intellectually disabled, deaf/HH and dyslexics. Verbal Master Level IV is the eighth of Failure Free Reading’s eight instructional levels ranging from beginning first grade to SAT/ACT content. Verbal Master Level IV is for students with a 12th grade reading level. 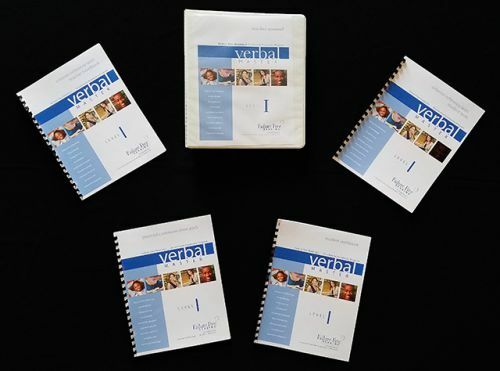 Verbal Master Level IV is suitable for: all ages., beginning English Language Learners, at-risk, and special education populations: autism, learning disabilities, intellectually disabled, deaf/HH and dyslexics. Verbal Master IV - Cluster Story 1 - “Energy Change Innovation” This story is about a group of scientists presenting ideas about new ways to innovate energy change to an audience. At first, the host of the conference had a pious attitude toward the scientists, but eventually he allowed the scientists to speak to their audience. Extremely age- appropriate perfect for SAT/ACT preparation, this story will introduce your child/student to key phrases such as: ‘recalcitrant behavior’ and the phrase ‘pious attitude.’ Among the words introduced: lucid, superficial, obscure, scrutinized, acute, alleviate, profound, expedite, profuse and depravity. Verbal Master IV - Cluster Story 2 - “A Student’s Recalcitrant Behavior” This story is about the response a student gives to a question. The student’s answer was both hedonistic and provincial. The school principal believes she has to censure the student’s words. Extremely age- appropriate and perfect for SAT/ACT preparation, this story will introduce your child/student to key phrases such as: ‘disparaging remark’ and the phrase ‘lack of discernment.’ Among the words introduced: ameliorate, disparaging, solicit, incoherent, articulate, flagrant and orthodox. Verbal Master IV - Cluster Story 3 - “Citizens Spreading Truth” This story is about a group of citizens who become skeptical of the lies made by a nation’s leader and take to the streets to spread the truth. The citizens’ demonstration of truth in the streets rejuvenated the voice of the people. Extremely age- appropriate and perfect for SAT/ACT preparation, this story will introduce your child/student to key phrases such as: ‘proponents of justice’ and the phrase ‘dearth of facts.’ Among the words introduced: impartial, disdain, extol, pragmatic, novel, proponent and rigorous. Verbal Master IV - Cluster Story 4 - “Citizens Spreading Truth” This story is about a trial involving gang members. The reader is introduced to a courtroom scene where the lawyer who was defending the accused gang members horrifies a reporter doing a story about the trial. Extremely age- appropriate and perfect for SAT/ACT preparation, this story will introduce your child/student to key phrases such as: ‘reprehensible behavior’ and the phrase ‘a harsh resolute contempt.’ Among the words introduced: compliant, reprehensible, fallacious, condescending, and audacious. Verbal Master IV - Cluster Story 5 - “Their Brazen Action” This story is about the effects of a prank by a very angry man out for revenge. He wanted to humiliate a man in a restaurant who had bumped into him and then refused to apologize. Extremely age- appropriate and perfect for SAT/ACT preparation, this story will introduce your child/student to key phrases such as: ‘virulent behavior’ and the phrase ‘receive great acclaim’ Among the words introduced: anecdote, elaborate, acclaim, scanty and concise. Verbal Master IV - Cluster Story 6 - “Scientists and the Ascetic” This story is about scientists and their discovery of a man over a hundred years old living in a harsh region. The scientists proceed to run tests and ask him questions. They find that his body was in great condition and he was open to their questions. Extremely age- appropriate and perfect for SAT/ACT preparation, this story will introduce your child/student to key phrases such as: ‘remained congenial’ and the phrase ‘more credulous’. Among the words introduced gravity, prosaic, redundant, exemplary and euphony. Verbal Master Level IV is the eighth of Failure Free Reading’s eight instructional levels ranging from beginning first grade to SAT/ACT content. Verbal Master Level IV is for students with a 12th grade reading level. Verbal Master Level IV is suitable for: all ages., English Language Learners, at-risk, SAT and ACT Prep, and special education populations: autism, learning disabilities, intellectually disabled, deaf/HH and dyslexics.